Has your animal been staring at you? Do you feel like she has something to communicate with you? MacGuyver the Puggle loves to communicate telepathically. Animal Communication is a telepathic connection between people and animals. It's different than verbal or physical communication because it's done silently. All beings, including humans and animals, are animated by Spirit, and therefore, speak the universal language of telepathy. Animals, like people, are spiritual beings. Telepathy creates a bridge of "communication" that empowers animals to be heard and better understood by humans. Learning animal communication is as much a journey of self-discovery, as it is about discovering who animals are at a deep spiritual level. Your animal family, along with wildlife, want you to reclaim your natural ability to listen to their "musings." Animals tell me that time is of the essence to hear their "voices" as they have deep insight into your life and the world at large. Clear communication is the cornerstone of all good relationships, your animal family included. Communicating telepathically with your animals can be "child's play." Why? Because we are all born with the ability to communicate telepathically with all Spiritual beings; humans and animals included. Unfortunately, what we did easily as a child can be difficult to reclaim. Thankfully, animals are happy to teach how to hear their "voices." Greta muses about life while hanging out in the cool green grass. Tip #1 First and foremost, you must believe that animals can and do communicate telepathically. If you don't believe it, then you will immediately block or dismiss any telepathic communication between you and your pet. I promise you that if your animal is staring at you, then they are sending you a telepathic message. Elvis, Cathy's Siamese, muses about what Cathy should blog about. Tip #2: To hear what animals are sharing, it's important to start with a quiet mind. This includes turning off as much inside and outside noise and "chatter" as you can, so you can be "quietly present" when you communicate telepathically with your animal family. If your mind is filled with endless thoughts then you will have a hard time hearing what is on your pet's mind. And when this happens all your animal receives from you is an endless busy signal! Tip #3: Telepathic Animal Communication originates from the heart center in both you and your animals. It's easy to access your heart. Simply feel all the love you have for any individual that you love unconditionally, like a child or your "heart Animal." Now Spend at least 5 minutes feeling the unconditional love you have for this individual. Enjoy feeling this beautiful love. Sit quietly and "feel" what you receive. Living from the heart is how animals live and communicate. Tip #4: Choose a time of day when you are in a quiet, receptive place with minimal distractions to practice your telepathic skills with your pets. Like a muscle or skill, the more you practice communicating using telepathy, the easier it will become for you. If you're tired or are having a tough day, try again tomorrow. Your animal companions will come and find you once you establish a daily ritual of connecting your hearts together. And you will reap the rewards of feeling even closer to your animal companions. Mona Marie is Cathy's best friend and an important member of the Animal Muse Family. Tip #5: Is your animal still staring at you? Still having problems understanding what they trying to say? Sometimes, depending on the situation, it's difficult to hear what your animals are trying to share because you're too close to them. When I have serious issues with my animal family, I call an animal communicator. Why? Because it's sometimes hard for me to separate myself from my animals. We are too close. If you need help, I'm here for your animal and you. Call or email me to schedule an animal communication session at 925-671-9208 or email me so you can get answers to your questions. If your animal is staring at you, I'd love to hear about it. Please leave your comments below. Do You Have a "Heart Animal?" 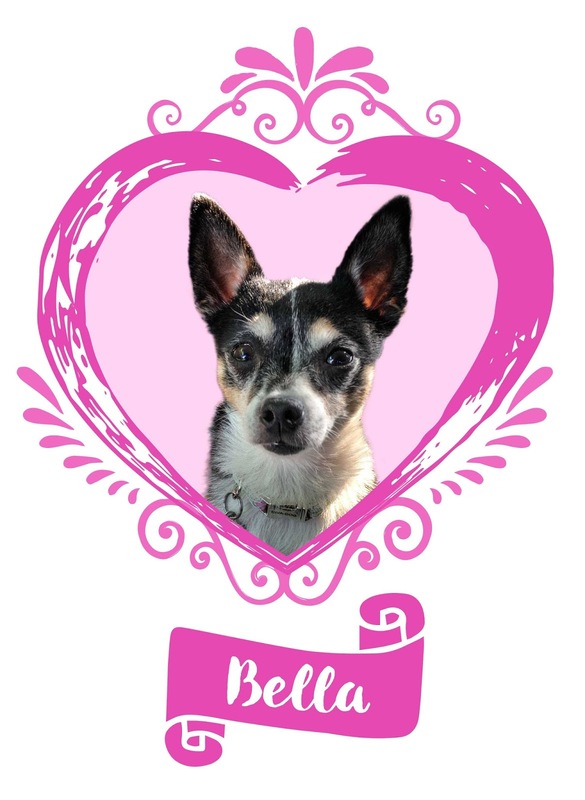 The other day, I was talking with a client who had recently lost her beloved Chihuahua, Bella. 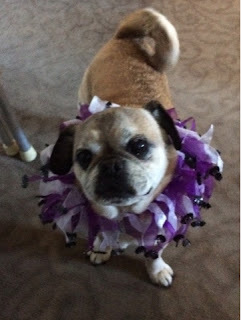 As I communicated with her beautiful dog In Spirit, I asked my client, "Bella was your 'Heart Dog,' wasn't she?" 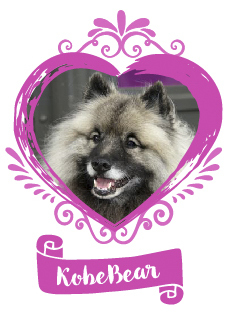 My client tearfully replied, "I have never heard of the term, 'Heart Dog.' 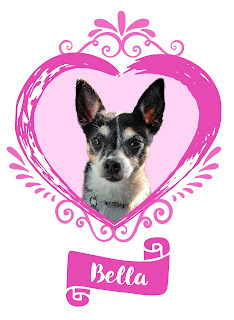 But now that you say it, that's exactly what my Bella was -- she was my Heart Dog." A "Heart Dog" or "Heart Animal" is an animal who opens your heart and helps you live each day with an open heart. Qualities that define open-heartedness are loving-kindness, compassion, empathy and unconditional love. I have had three Heart Dogs in my life. KC and Kobe Bear were my first Heart Dogs. I now have my sweet Bodhi Bear, who constantly reminds me to live in my heart. Animals understand the importance of connecting with an open heart and they know it will deepen their relationship with you, while making you both happy. Since your animals can talk telepathically, they encourage you to spend quality time with them every day so you can feel their love for you. Plus they want to feel your unconditional love. Want to communicate with your Heart Animals? Or do you want to offer your animal family a Reiki Treatment? I can help. Give me a call at 925.671.9208 to set up an Animal Communication Session or an Animal Reiki Treatment. How does your heart animal help you to live with an open heart? I'd love to hear about your heart animal, please share your comment below.